"Ophelia - I think you have a secret… Are you in love?" A full, 3-minute trailer is out for the indie drama Ophelia, a fantasy period piece drama based on Shakespeare's Hamlet. It's a re-imagining or retelling of the story from the perspective of Ophelia, Hamlet's secret love interest who ends up killing herself in the original play. This film is just as imaginative and unique and has all the same intense drama in the play, and it first premiered at the Sundance Film Festival earlier this year - this trailer is a promo for the British Film Festival in Australia, where it most recently played. 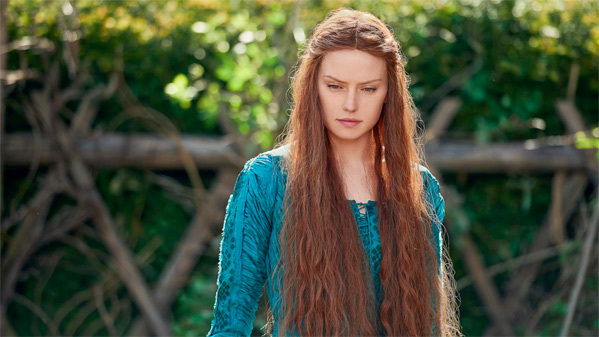 Ophelia stars Daisy Ridley as the fierce Ophelia, with a cast including Naomi Watts, George McKay, Clive Owen, Tom Felton, Daisy Head, Sebastian De Souza, Dominic Mafham, Devon Terrell, and Anna Rust. This very stylish film has played to mixed reviews at festivals, and is still waiting to set a release date in the US. Get a first look now while you still can. 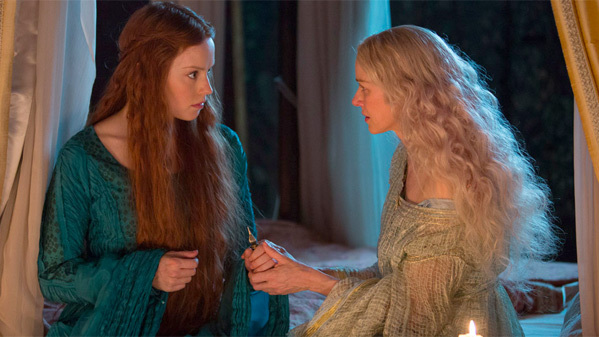 Ophelia (adapted from the book by Lisa Klein) tells the story of the young girl (Daisy Ridley) who forms a forbidden love with Hamlet (George Mackay) as war brews on Elsinore Castle. A new re-imagining of Shakespeare's Hamlet, told from Ophelia's perspective. Ophelia is directed by Australian filmmaker Claire McCarthy, director of the films Cross Life, The Waiting City, a segment in The Turning, and a number of other short films previously. The screenplay is written by Semi Chellas; based on the book by Lisa Klein, obviously inspired by William Shakespeare's "Hamlet". This premiered at the Sundance Film Festival earlier this year, and also played at the Moscow, Deauville, and British Film Festivals most recently. There's still no official US release date for McCarthy's Ophelia set yet. Stay tuned for any more updates. First impression?